Autistic empathy. 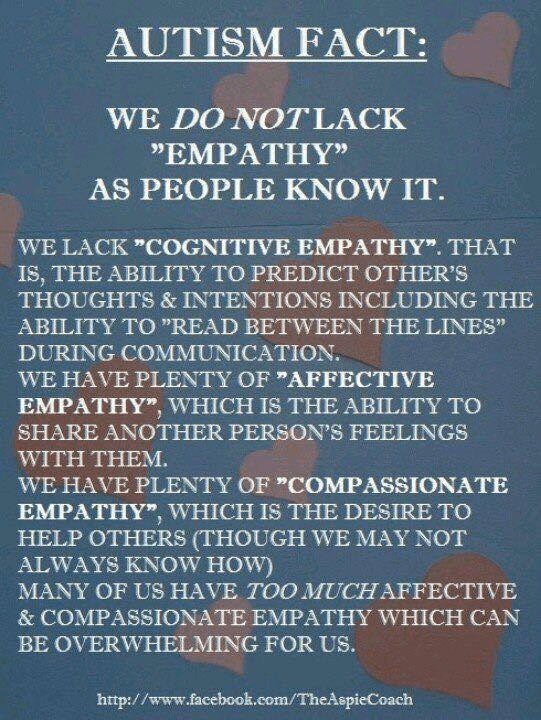 There are different types of empathy. Autistic people have a huge amount of AFFECTIVE and COMPASSIONATE empathy. They pick up on and share others feeling easily. 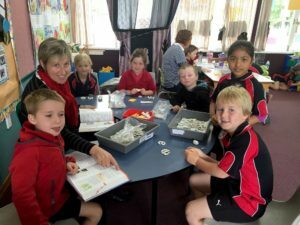 They want to help others. Did you know that there are different types of empathy? It is just COGNITIVE empathy they struggle with – being able to predict what others are thinking. is the map provided by Ron Davis, a supremely brilliant autistic human being, to guide other autistic individuals to participate more fully in life. 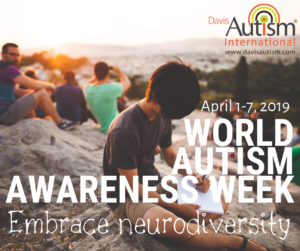 Find a Davis Autism Provider to help you read that map.